Whoop-de-do …we got some ( sort-of) snow! | Vermont Paddle Pups! Whoop-de-do …we got some ( sort-of) snow! Well, the snow gods may not have smiled on us, but they gave us a little smirk…3 inches of light snow. 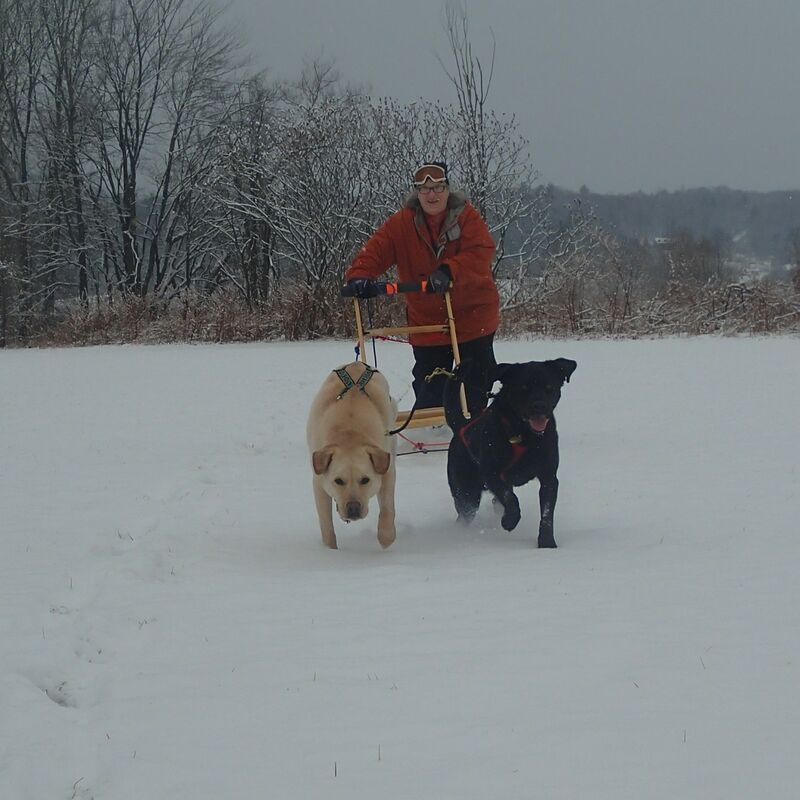 This snow was barely enough for us to get out the kicksled….we were anxious to try out a new harness for Gryphon, and new waterproof boots for me! A local field that had avoided the recent grey, frozen ice-ups of the trails would have to serve. Griff is “nose to the grindstone” style, and Edgar is a bit more of the pogo-stick style! The new harness, a Howling Dog Alaska Wheel Dog Ultra ( fancy name!) is designed to prevent pressure on the dogs hips, and is reportedly good for kicksled use. Interestingly, the day after I ordered it, Kev Roberts of Skijor OxfordDogs posted a review of this harness. Working on commands, and turns…. At first Griff did not know what to do…the longer harness sits longer and lower over his back end, and he seemed to think it meant he was supposed to sit down! Once we got him all hooked up with Edgar by his side, he seemed to catch on…oh yeah, run and pull! The new harness also brings the connection to the bridle a bit lower, so that it is the same height as Edgar’s connection. 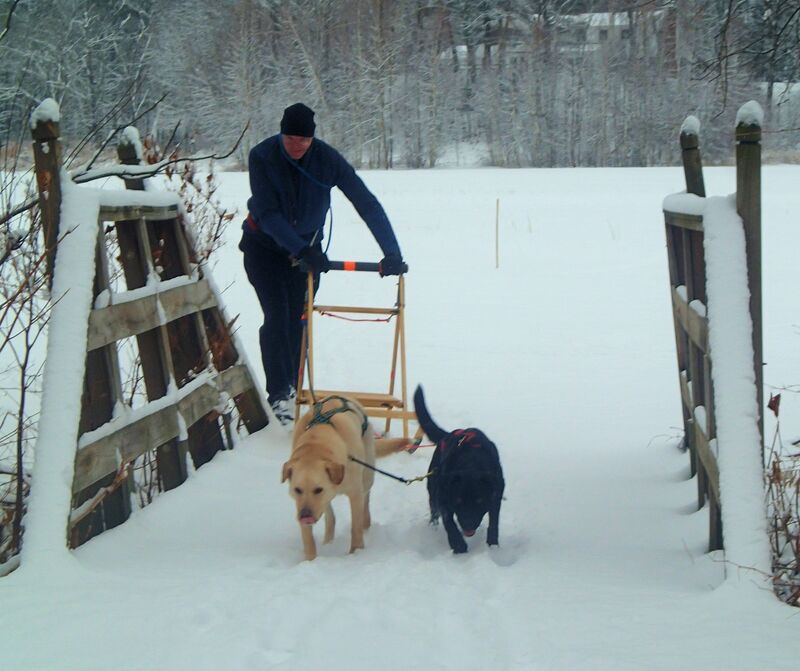 It will be nice to be able to skijor and kicksled on the trails again…all we need is a foot of snow!